Because I live in the country and the city, I get to experience the pleasures of both. Some things are the same in both places, but with little differences. 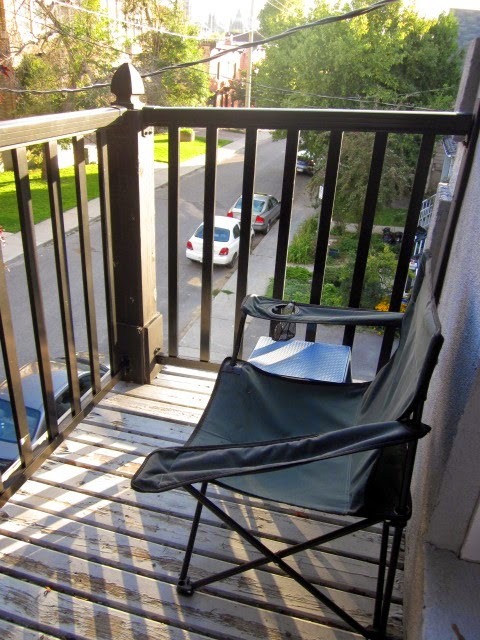 For example, I have outdoor balconies at both my city apartment and at my country house. This is my country balcony (a deck, really). It is spacious, surrounded by trees, and has a view of my garden. It is very private and there are no people around, just a lot of birds (especially hummingbirds, who come right up to say hi to me) and the occasional small wild animal. This is the balcony at my city apartment. 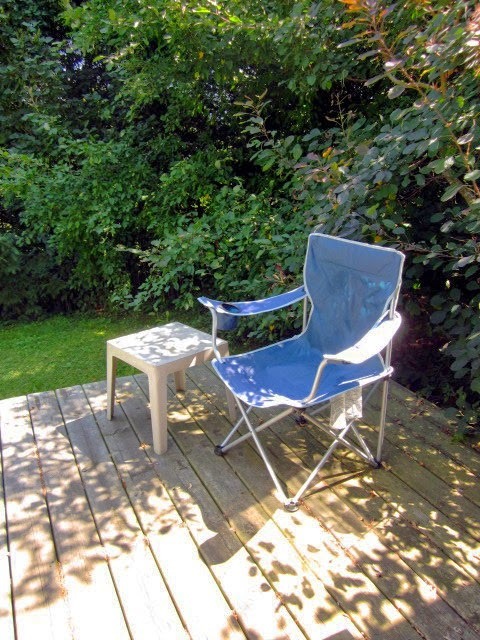 Unlike the deck at my country place, it is very small, up high, and looks out over a city street with cars and buildings and people walking by. I enjoy sitting in the sun on both balconies and appreciate their similarities and differences. I like to think that there are lovely simple pleasures like this no matter where we live! Fun post. Balconies are the best...city or country!